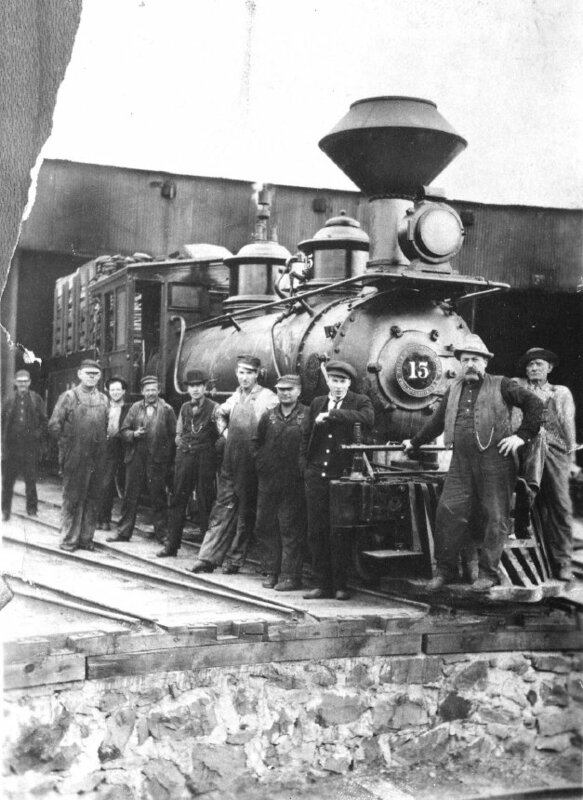 SVRy engine # 15 and the South Baker shop repair crew, the men that rebuilt all of the wrecked locomotives. Gallery #4--TRANSPORTATION & FOREST INDUSTRY. -SVRy engine # 15 and the South Baker shop repair crew. SVRy engine # 15 and the South Baker shop repair crew.